GENUINE ANTIQUE Handmade Smoky Quartz Bracelet Indian Jewelry with Natural Stone. PERFECT FOR Valentines Day Mothers Day Fathers Day,ChristmasDay,New Years Eve, Best for gift, Wedding anniversary, parties. BEST PRICE. BEST Selling . 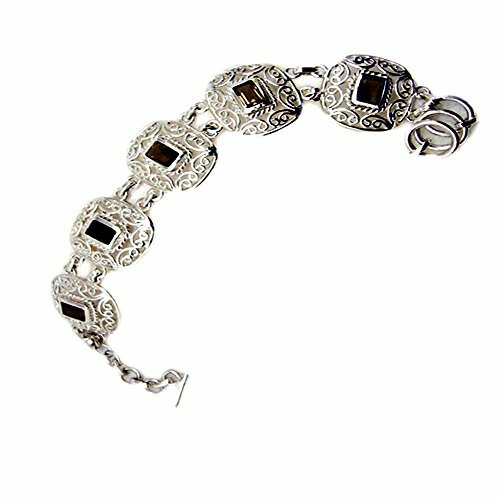 MADE in INDIA.925 Sterling Silver Bracelet Ideal for Women & Girls. If you have any questions about this product by Jewelryonclick, contact us by completing and submitting the form below. If you are looking for a specif part number, please include it with your message.